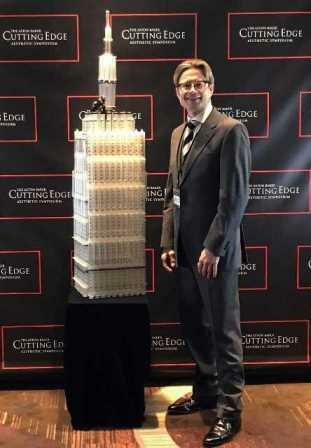 Mr Cameron Raine has recently been in New York for this year’s Cutting Edge Aesthetic Surgery Symposium and has been sending us regular updates on what he’s been up to! The first day of the symposium kicked off with presentations concentrated on facial aesthetic surgery. Mr Raine noted that the mood of the meeting was the continuation of support for more generalised use of fat grafting at the time of face lifting surgery highlighting the importance of volume replacement in most cases. Other highlights included a discussion of the changing emphasis on fat grafting in lower lid rejuvenation and a very interesting presentation from Brazil demonstrated the possible role for external temporary quilting sutures following neck lifts to reduce the risk of bleeding. The final session at this year’s Symposium included a series of presentations on female genital rejuvenation. The interest in these procedures continues to rise with more evidence that the external procedures are safe and give good results when performed by experienced surgeons. Mr Raine regularly performs these operations and was pleased to hear that the evidence supports their place within aesthetic surgery practice. There is less evidence that the internal procedures show lasting benefit, however, and more research is required. Our surgeons are consistently striving to have the fullest understanding of new developments and research in the field of aesthetic surgery.